We feature the “hands-free” underwater scooters! Course includes scuba gear, use of the scooter, books & materials and two scooter dives. Learn to ride the scooter and fly thru the water like “SUPERMAN”! Learn set up, breakdown, maintenance, riding and towing techniques and navigation. 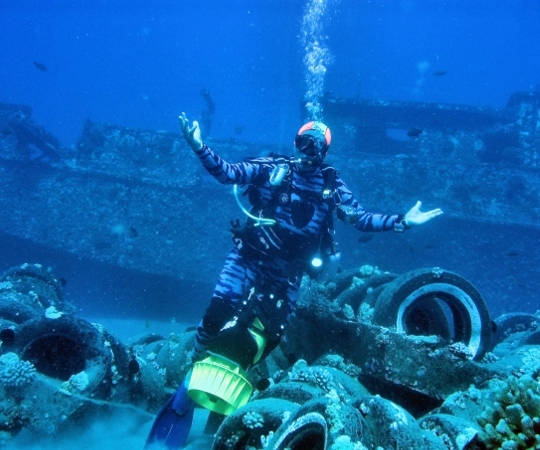 Specialty counts towards your PADI ADVANCED or as one of the five specialties for the PADI SCUBA DIVER certification. Can be taught in one day or two three hour sessions. Minimum age is 12 . Depths will be 40-60’. NOTE: You are required to carry your own scooter for this course…..